A strong point of the BMW vehicles of this era is the infamous M30 six cylinder engine - legenday for it's smoothness and durability. The engine in my car ran strong and didn't use any oil. It's running with new plugs, distributor cap and rotor, fan belts, and air filter. The valves were adjusted and the oil rail banjo bolts secured with Loctite. Mobil 1 was used and there were no oil leaks. 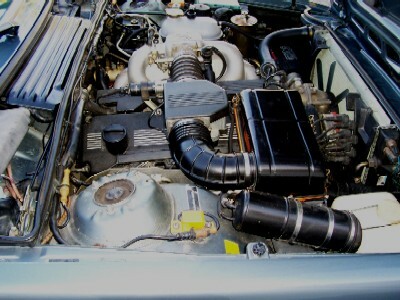 The ICV hose to the manifold was replaced with new. 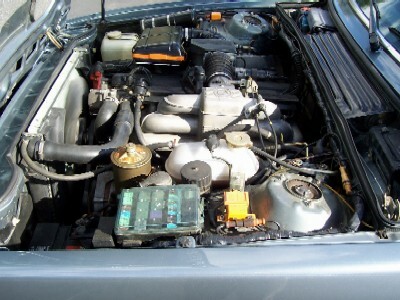 The radiator expansion tank is new, and BMW recommended non-phosphorus anti-freeze is used. The engine and compartment still have the original cosmoline on it - although I've worked to remove some of it here and there to shine things up a bit. The air cleaner was refinshed. 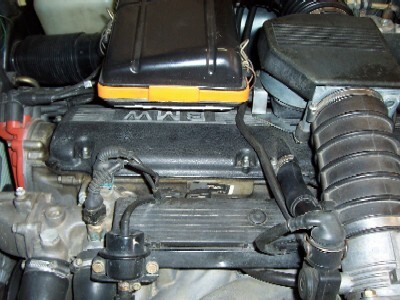 The valve cover was painted with black wrinkle paint. 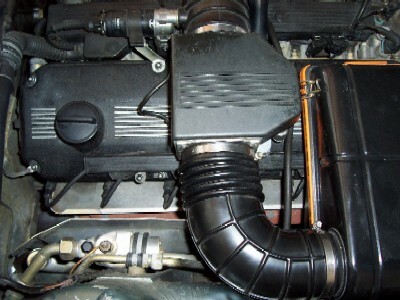 The hose connecting the ICV to the manifold is new. New spark plugs were installed. The valves were adjusted and the oil rail banjo bolts were secured with Loctite. The distributor cap and rotor are new. 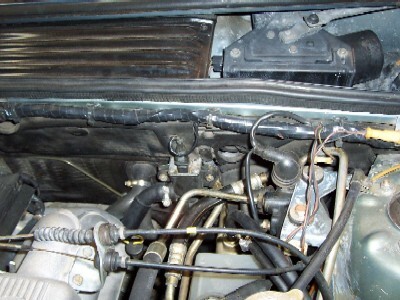 The wire harness was rewrapped from the bulkhead to the headlights. 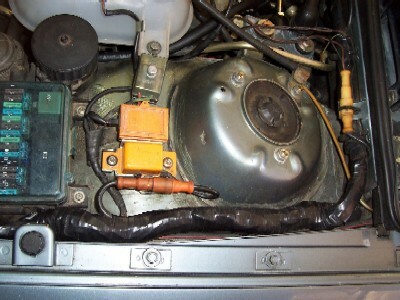 The heater valve (below the wire harness) is new. A new radiator expansion tank was installed and fresh coolant installed.